Payment industry giants MasterCard and Visa have joined forces to create a new cross-industry group focused on enhancing payment system security to keep pace with the expectations of consumers, retailers and financial institutions. Announced on Friday, the group will initially focus on the adoption of EMV chip technology in the United States, in addition to addressing other security-related topics, including tokenization, point-to-point encryption and broader needs of the region. “EMV” technology—the name coming from its original creators Europay, MasterCard, and Visa—uses an embedded microchip and a personal identification number (PIN) to validate the card, its owner, and authorize payment transactions instead of a cardholder’s signature. Popular in Europe, cards using EMV chip technology help reduce card fraud resulting from counterfeit, lost and stolen cards. Additionally, the technology can enable transactions across contactless, mobile, and remote payment channels. With EMV technology equipped payment cards, even if a card number is stolen in a data breach, cybercriminals cannot counterfeit the card. Led by Visa and MasterCard, the newly formed group will include a diverse group of participants in the payments systems including --- banks, credit unions, acquirers, retailers, point-of-sale device manufacturers and industry trade groups. 1. Advancing the migration to EMV in the United States. Chip technology generates a unique code for every transaction, making it nearly impossible for criminals to use the card for counterfeit fraud. 2. Promoting additional security solutions like tokenization and point to point encryption. While EMV addresses the physical point of sale, the need to protect mobile and online transactions is critical. In tokenization, the traditional account number will be replaced with a unique digital payment code, providing an additional layer of security. 3. Developing an actionable roadmap for securing the future across all segments of the payments industry. Following the massive data breach that hit Target Corp. late last year, Chief Financial Officer John Mulligan, said last month that the company would accelerate its implementation of smart card technology in an effort to reduce credit and debit card fraud stemming from customers shopping in its stores. The accelerated timing is part of a $100 million effort to put in place chip-enabled technology in all of Target’s nearly 1,800 U.S. stores. Back in February 2011, former SecurityWeek columnist Christopher Justice commented on how 50-year-old plus magnetic stripe technology enables criminals to skim information directly from the cards with simple card reading devices or recreate payment cards using stolen payment card data. 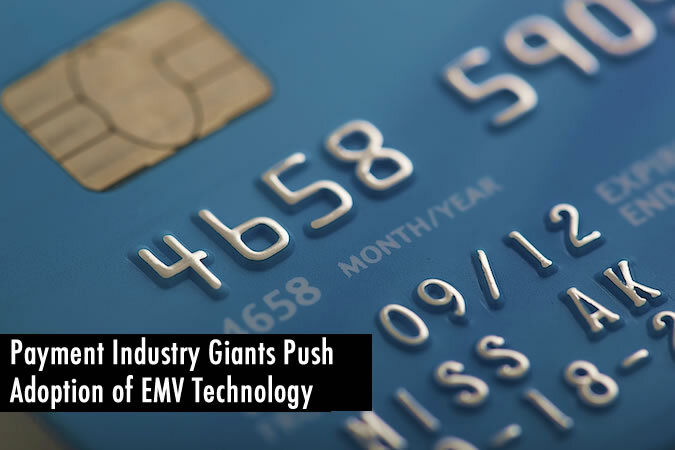 Recent high-profile breaches against popular US-based retailers have built an incredible case to fuel the adoption of EMV technology in the US. This new group is not the first effort by payment industy firms to push more secure technology. In May 2012, MasterCard proposed the creation of a cross-industry group to help drive the adoption of EMV technology in the United States. Following MasterCard, the Smart Card Alliance announced the formation of an independent, cross-industry organization called the EMV Migration Forum in August 2012. “Updating payment card technology and strengthening protections for American consumers is a shared responsibility and requires a collective and coordinated response,” Target’s Mulligan said in his testimony before the Senate Committee on the Judiciary in Washington, D.C. last month. MasterCard and Visa expect the new group to complement and engage with other efforts across the industry, including proprietary risk councils, EMV task forces and the standard management bodies. Related Reading: Will the U.S. be Able to Fend Off the EMV Card Standard Invasion?